The AOP Wedding Experience is designed with you in mind. Our entire wedding photography experience focuses on building lasting relationships with each and every client, serving each client well, and preserving your memories with timeless film images. The second part of our wedding experience is guidance and planning help every step of the way. You’ll fill out our questionnaire that shares with us all the things that matter most to you on your wedding day. We’ll take those details coupled with our knowledge of what makes a wedding day run smoothly and help you put together the perfect timeline to fit your needs. Whether you have a planner guiding you or you’re totally on you’re own we’re happy to help as much or as little as you need. Our goal is to make sure that you have the wedding day of your dreams and we know a good timeline can make that happen. AOP Planning Tip #1: When making your wedding day timeline be sure to keep in mind the season you’re getting married in. During the Summer sunset can be as late as 9 pm allowing lots of flexibility for natural light portraits all troughout the day. During the Winter the sunset is much earlier around 5:30 pm and reduces your daylight time. So when planning your timeline be sure to keep in mind how much daylight you have during your wedding date! Still looking for a Makeup Artist? Florist? DJ? Calligrapher? We can help! We have a list of vendors that we love working with that we KNOW serve our couples and families so well. Service is one of our top priorities. We serve each and every one of our couples to the best of our ability and we expect nothing less from our wedding vendor friends too. So whenever you need a suggestion or just have questions about what to look for in ‘X’ vendor let us know and we’ll help you out! AOP Planning Tip #2: Ask your newlywed friends for their vendor list from their wedding. Ask them what they liked and didn’t like about each vendor. These details can help you learn what vendors might be a good fit for your day. Often our newlywed friends have great suggestions! We know that your family portraits are of utmost importance on your big day. Not only do you want to get your photos taken with Grandma and Grandpa, but with your spouse’s family too! To make sure we get every family portrait that is important to you we plan out your family portraits in advance so we can show up on your wedding day with a list in hand ready to go. This allows us to flow through family portraits quickly so you can get back to celebrating with your family and friends! 04. Complete Bridal Guide with All the Tips and Tricks! Once we book together one of the first things we’ll do is share our AOP Bridal Guide with you! This guide has EVERYTHING you need to know about the wedding process from the moment we book together until your wedding prints arrive on your doorstep. This guide goes through how to prepare for an engagement session, how to make a good wedding day timeline, what details you need to gather for photos on your big day, what we’ll do in all kinds of weather, and so much more. This is an invaluable resource that we love sharing with all our AOP couples. We believe that good communication is key to building connections and maintaining relationships. We will be available and will communicate with you about every step of the planning process so you know exactly what to expect from us at all times. There may be lots of good surprises on your wedding day, but there are no surprises when it comes to communication with AOP. 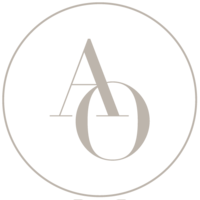 Have questions for us on The AOP Wedding Experience? Send us an email or head to our contact page and fill out the form. We’d love to hear from you!